Day 1: Arrival in Hanoi – Welcome Dinner. 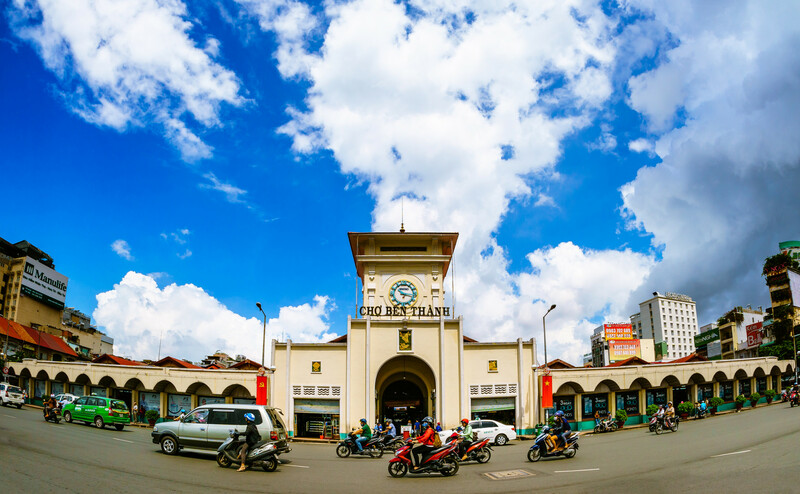 Day 2: Hanoi City tour – Night train to Lao Cai. Upon arrival, transfer to Sapa for breakfast and start trekking to the village of Cat Cat, home to the H’Mong minority people. Afternoon, come back to Sapa town, check in hotel and free at leisure. Today, trek down to Muong Hoa Valley to meet and observe daily life of H’mong, Red Dao and Dzay minorities. Continue trekking to Black H’mong village of Lao Chai and Ta Van village, where the Dzay hill tribes live. Afternoon, transfer back to Sapa town and explore town on your own. Spend the morning visiting the vibrant fairs and markets of the region’s tribal economy. Late afternoon, drive to the Chinese border gate for a sunset visit before getting on overnight train back to Hanoi. Participate in Tai Chi on the top deck or simply watch the sunrise over the magnificent bay. Enjoy your morning cup of coffee or juice before setting out to the nearby cave on row boat. Observe beautiful islands and have brunch before disembarking for the private transfer to Ninh Binh. 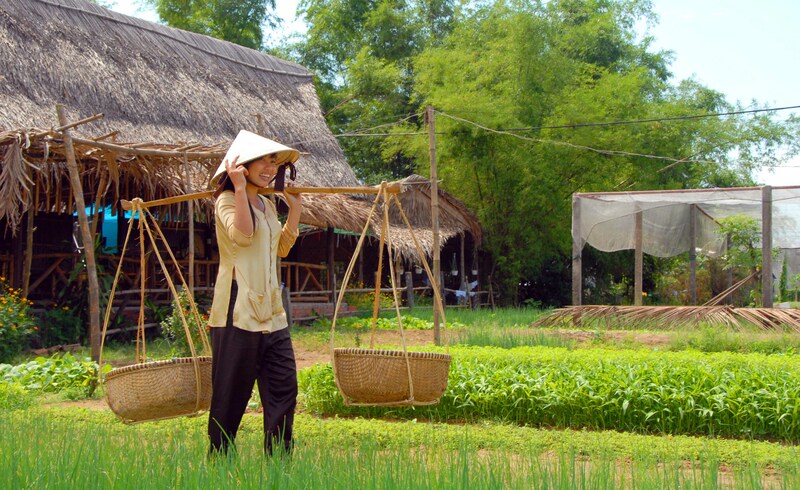 Enjoy breakfast at your hotel then transfer to Hoa Lu, the ancient capital city of Vietnam. Visit the temple of King Dinh Tien Hoang, the temple of King Le Thai To, and the relic of the old citadel. Then, leave Hoa Lu for Tam Coc, where we take a sampan boat along Ngo Dong River for sightseeing. Afterward, transfer to Hanoi for a flight to Hue. Spend your whole day touring Hue’s main sites such as the Citadel and Royal Mausoleums. Visit to Dong Ba – Hue’s local market and the arts museum. Breakfast at the hotel, and then spend our morning discovering My Son sanctuary. Come back to the town in the afternoon for a walking tour to visit: Chua Ong Pagoda, Chinese Assembly Halls, the 200- year old Tam Ky ancestral house, and the Japanese Bridge. Free time at leisure until be picked up to Da Nang airport for a morning flight to Nha Trang. Free relaxation on the most beautiful beach in Vietnam. After breakfast, your private car will transfer you to the airport for flying to Saigon. 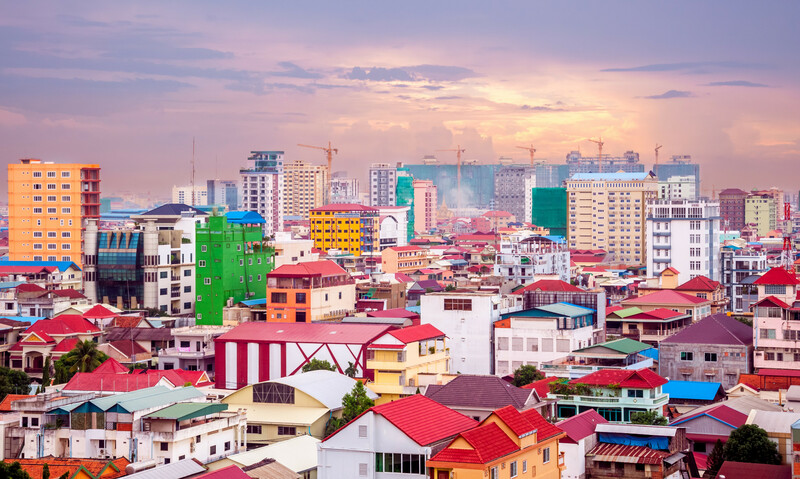 Spend the afternoon for a half-day city tour to some main sites in the city center such as: Reunification Palace, Nortre Dame Cathedral & Central Post Office. A morning drive will take you to Tay Ninh to visit the Cao Dai Holy See (in time to watch the mid-day ceremony), and the famous Cu Chi tunnels, a Byzantine maze of underground passages, chambers and booby traps used by both the Vietminh and the Viet Cong. In the morning drive southward to Ben Tre. 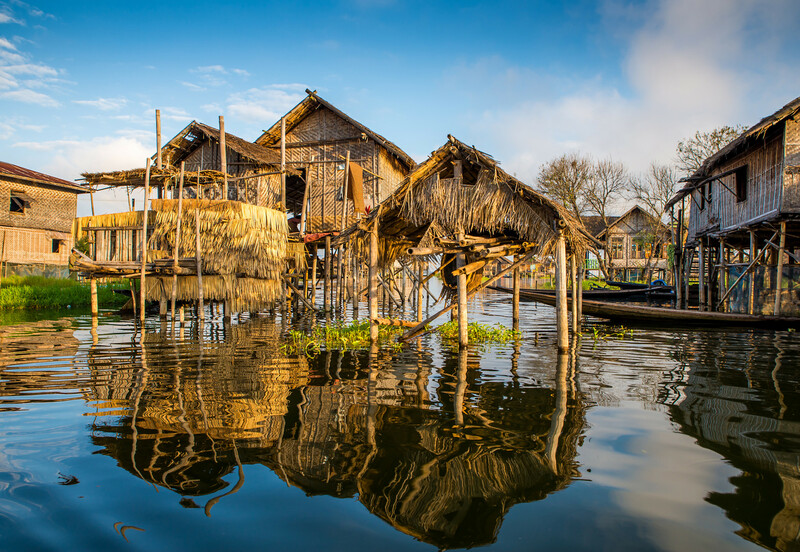 Embark on a small boat for a 4-hour cruise to visit the coconut region and the living of Vietnamese farmers, handicrafts and culture along Mekong Delta. 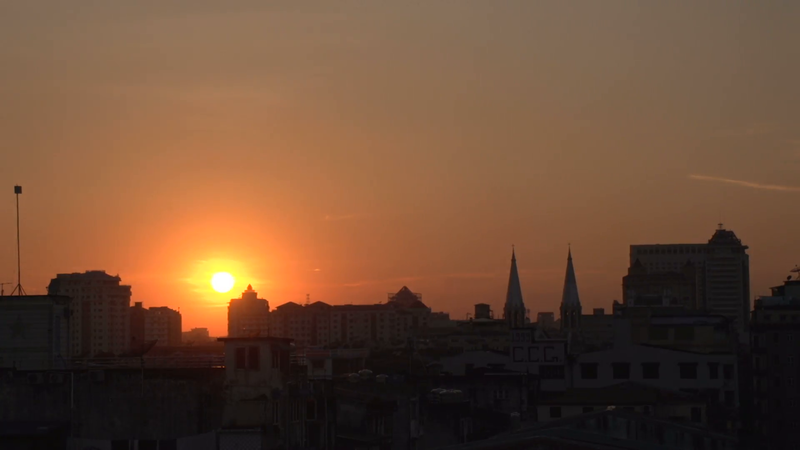 Return to Saigon in the late evening. In the morning, take a morning flight Siem Reap. Upon arrival, check in hotel and discover the town on your own. After breakfast, transfer to visit the South Gate of Angkor Thom (Great city), the famous Bayon temple and Baphoun temple dedicated to Shiva – the Hindu God, Terrace of Elephant, Terrace of Leper King and Phimeanakas (Heavenly Palace). In the afternoon, transfer to visit the World Heritage site of Angkor Wat the world’s largest religious building. Wrap up the day with a visit to Bakheng Hill temple for an incredible sunset from the top of the hill. Free at leisure for relaxing or shopping. Accommodation in Siem Reap. Accommodation in shared a double/twin room. Daily breakfasts and meals as in the itinerary. 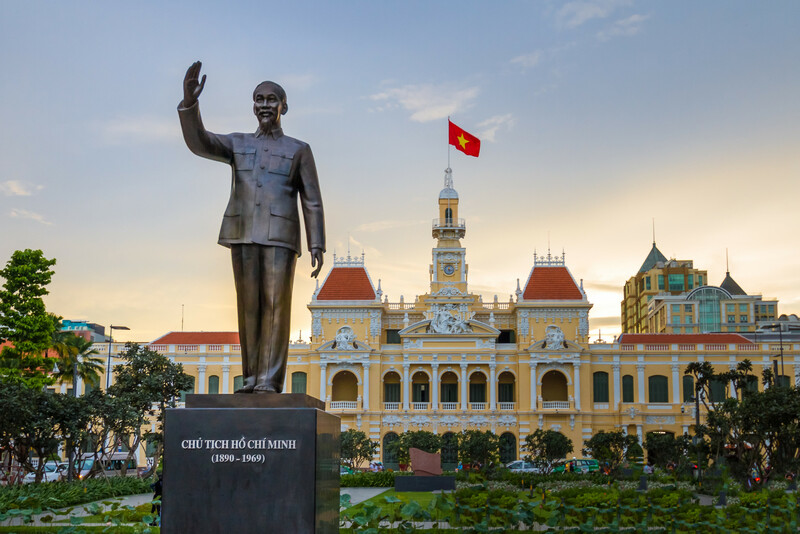 Internal flight: Hanoi – hue, Danang – Nha Trang, Nha Trang – Saigon. Professional educator supervision and instruction. Entrance feesfor sights visited, performances & excursions.